Easey Blast. Our formula contains a potent blend of natural herbs to help BLAST the body of parasites or worms. It assists with the removal of parasites from the body like Giardiasis, Hookworms, Amebiasis, Pinworm, Tapeworm and other roundworms which may produce a number of health issues, some mild and some strong. Why not kill them all before it kills you! A large number of parasites are known to excrete toxins that affect kidneys and liver adversely. They degrade the functionality of these organs to result in symptoms like irritability, fatigue and weight gain. 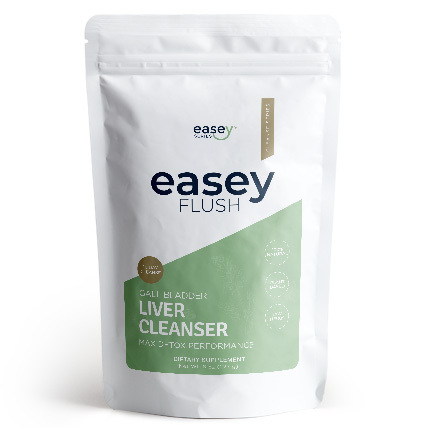 Parasites often cause abdominal cramping which can be exterminated with our natural parasite cleanser. Our Easey Blast Parasite Detox is known to improve nutrient absorption. This is made possible by killing the parasites that feed on amino acids, lipids and carbohydrates in the body. Such parasites surviving inside the body lower the nutrition levels and create nutrient deficiencies. Parasites being an integral part of the environmental ecosystem and commonly existing, it is worth undergoing a natural parasite cleanse once in a while. Occasionally detoxing your internal environment with our easey blast parasite cleanse maintains your body functioning at optimal levels. Our Easey Blast Parasite Detox promotes energy and strength of your body as well as mind. This is because it eliminates the parasites robbing essential nutrients which make your body strong and energetic. Moreover, the cleanse removes a lot of toxins from the body, thereby helping the body experience enhanced energy levels. What is a Parasite Cleanse? Parasites are common intruders present in the human body surviving for years within the digestive tract, stealing vital nutrients and producing a number of health problems. A Parasite Detox aims at getting the body rid of harmful parasites and freeing it of their harmful effects. Intestinal worms like Hookworms, Tapeworm, Giardiasis, Amebiasis, Pinworm and other roundworms can generate various health concerns from mild to intense and the medications used to treat them can cause adverse side effects. This is why more and more people look for natural parasite cleanse recipe to address parasite infections and infestations. Why You Need a Parasite Cleanse? Worms of intestines are quite common but not acknowledged. They can enter the body through food, water or even air. Environmental factors harbor unwanted organisms which easily make way into the body and survive there. It is estimated that there are over 100 common parasite types which can inhabit the human body and some of these have a lifespan of more than 30 years. These organisms live and thrive in the digestive tract, rob your body of essential nutrients, excrete toxic substances and give rise to symptoms that challenge your health and vitality. This is why it is necessary to get your body rid of parasites periodically. Our Easey Blast Parasite Detox is designed to help you do this easily and effectively. 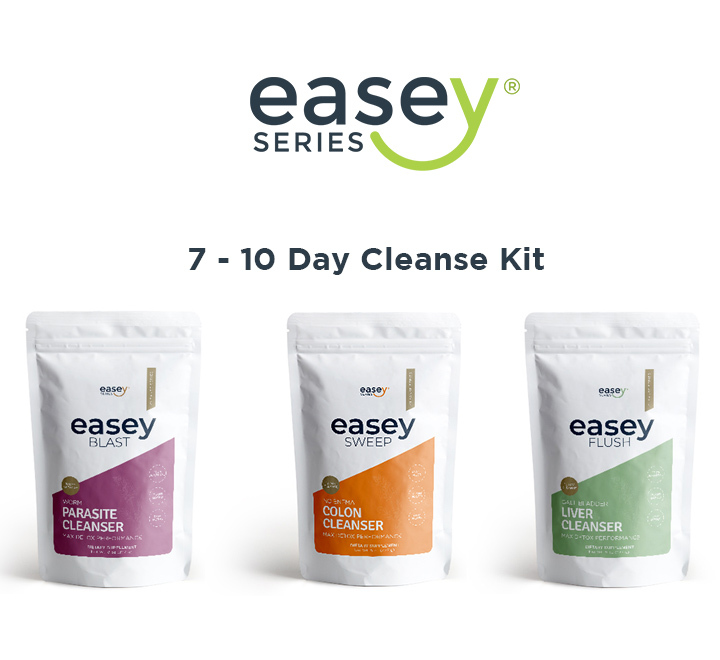 What is Easey Blast Parasite Detox? Our Easey Blast Parasite Detox is a potent formula of natural herbs designed to blast the body of harmful organisms like worms and parasites. It assists with the elimination of numerous types of parasites that may reside inside the digestive tract, producing mild to severe health concerns. It is one of the best parasite cleanse products that effectively get the body rid of harmful organisms and the toxins associated with them to boost the body functions, digestive health, energy levels and overall wellness. Our Easey Blast Parasite Detox contains a proprietary blend of some of the most effective herbs known to help remove parasites and toxins from the body. 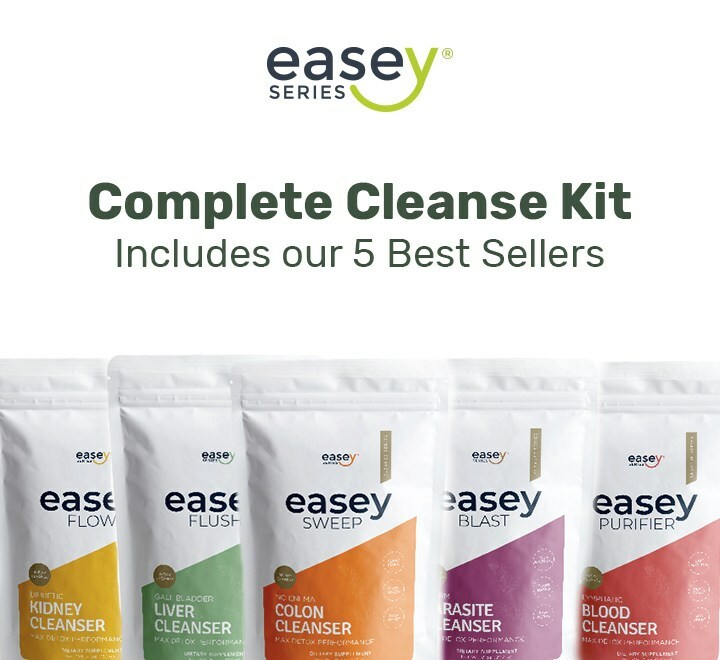 Why Choose Easey Blast Parasite Detox? Quick, Easy, Effective Parasite Elimination – The potent and gentle herbs contained in our supplement work quickly to result in drastic reduction of parasite populations in your digestive tract. 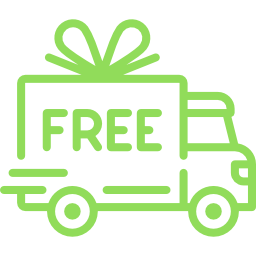 Exclusive Anti Parasite Formula – Carefully formulated with effective parasite cleanse home remedy ingredients, our parasite cleanser eliminates worms and parasites using the power of nature to boost your overall health and wellness. 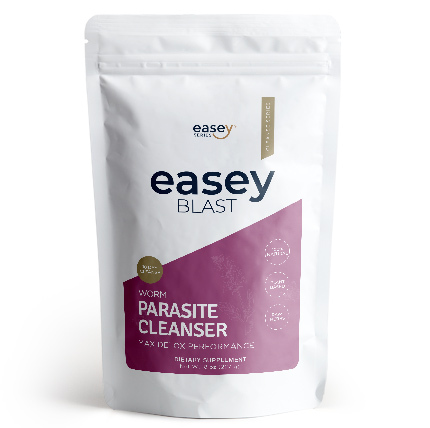 Simple To Use – Our Easey Blast Parasite Detox powder is so easy to use with all the instructions and guidance available for usage. Quality you can Trust – The Parasite Cleanser contains a proprietary blend of herbal ingredients made using high-quality herbs. 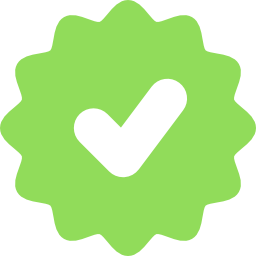 Ingredients are 100% plant-based and natural and free from artificial chemicals to provide you reliable results. Our Easey Blast Parasite Detox is a powerful combination of potent yet gentle herb-based ingredients that work quickly to eliminate unwanted, harmful organisms and toxins from your gastrointestinal tract, soothe your digestive system and support your immune system for overall better health, improved digestion and enhanced energy levels. Suggested Use: Mix 1 Tbsp in a cup of water or unsweetened juice (3) times a day for 7-10 days. Must drink 8-10 glasses of water daily. 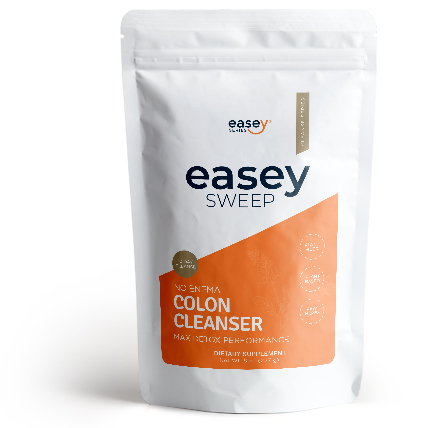 For Best Results: Take EaseySweep together with this cleanse, and insert a garlic clove lubricated with olive oil before bed on the last night of the cleanse. A sugar-free plant based diet is recommended. See our ebook on how to most effectively use this product. What do I eat during the parasite cleanse? Ideally, you can do raw foods or if you are unable to, eat only plant-based meals having 80% of your plate with raw foods! Don’t do add any animal products, sweets, candy or sugar, you will only feed your parasites. It tastes really bad, what can I do to help the taste? That’s our intention, so the parasites and worms wouldn’t like the taste either! Someone who was taking this parasite formula said to us, “It is Bitter! If I was a parasite, I would surrender.” It’s simple, try adding it into some unsweetened applesauce or pure apple juice (any other 100% natural fruit juice) it will help with the taste. Pumpkin seed is the edible seed of a pumpkin or certain other cultivars of squash. The seeds are nutrient-rich, with especially high content of protein, dietary fiber and numerous micronutrients. Containing an abundant amount of protein, dietary fiber and micronutrients, these seeds are effective at cleansing intestines and digestive tract. Fennel is a perennial, pleasant-smelling herb with yellow flowers. Fennel is used by mouth for various digestive problems including heartburn, intestinal gas, bloating, loss of appetite, and colic in infants among others. Known for centuries for its digestive health benefits, Fennel Seed improves digestive function and removes toxins and worms. Garlic is an herb that is grown around the world. It is related to onion, leeks, and chives. Garlic is used for many conditions related to the heart and blood system. This is a highly beneficial natural herb that treats problems associated with parasites and gets the body rid of harmful organisms naturally. Wormwood is used for various digestion problems such as loss of appetite, upset stomach, gallbladder disease, and intestinal spasms. Wormwood is also used to treat fever, liver disease, depression, muscle pain, memory loss and worm infections; to increase sexual desire; as a tonic; and to stimulate sweating. Wormwood is used for Crohn's disease and a kidney disorder called IgA nephropathy. Clove is a plant grown in parts of Asia and South America. People use the oils, dried flower buds, leaves, and stems to make medicine. Clove is most commonly applied directly to the gums for toothache, pain control during dental work, and other dental-related issues. But there is limited scientific research to support these and other uses. Black walnut is a tree. People use the outer covering of the nut (the hull) to make medicine. This herb is effective at combating parasitic worm infections and kills parasites.